Music is a billion-dollar industry where touring can make or break an artist, or a promoter. For those who love music that’s on the fringe, it can be difficult to see a favorite band without traveling out of town to the nearest place they are touring. For the promoters, getting these bands to come to Minneapolis instead of, or as well as, places like Chicago can be difficult as well as expensive. Many bands can only afford to be on tour for so many days or their Visas expire after a set period of time, so picking locations can be tricky to coordinate. 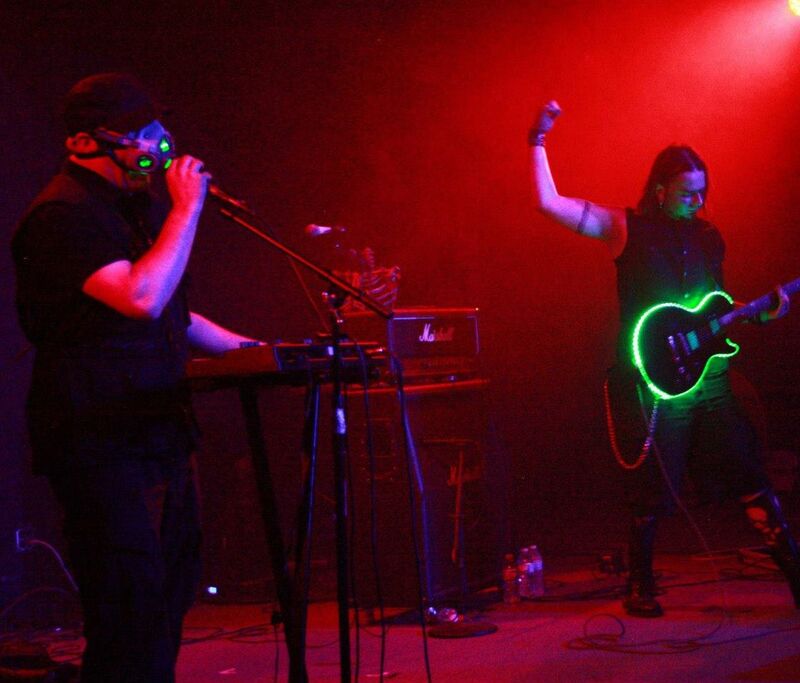 Three promoters are working to make the Twin Cities a music destination again for goth and industrial bands, but there are many challenges that come along with trying to bring fans great music. 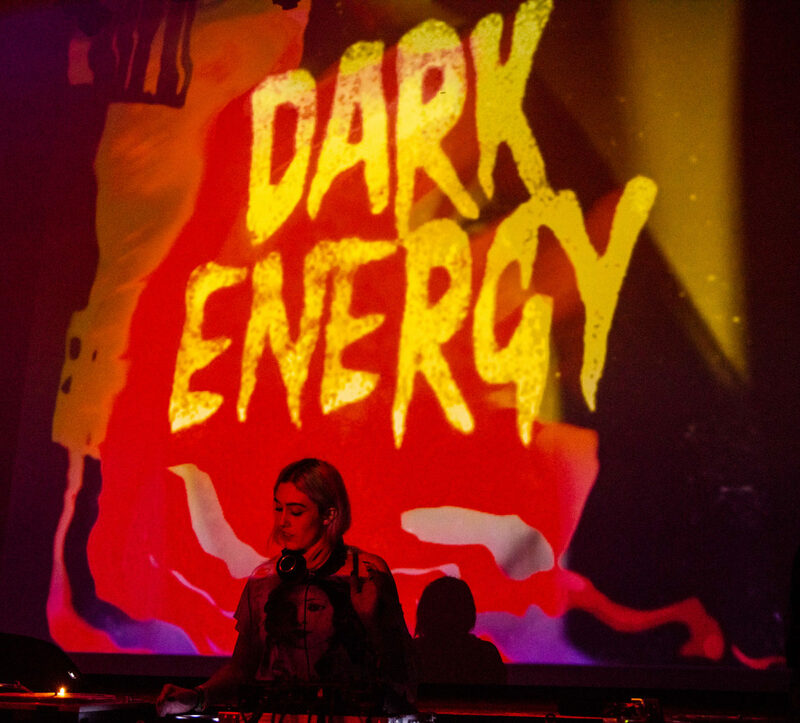 Despite the hurdles, there are rewards to be had for pulling off a great show and the drive to revamp the Twin Cities goth music scene seems to be working. Sitting in the bar of a hotel near Amsterdam Bar and Hall before the recent Covenant concert, Trace Tumbleson of Kilted Farmer Koncerts chats about the last fourteen years of promoting. 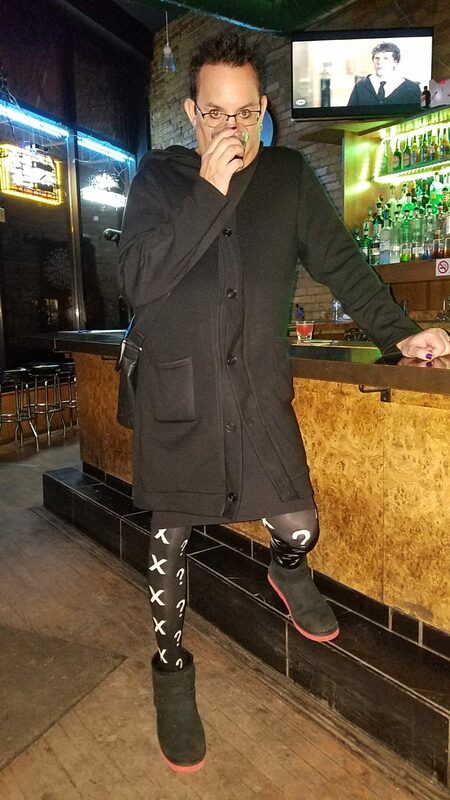 Wearing a kilt, mathematical tights, and black combat-style boots, he brings up just how much he loves the goth scene for its less-judgmental attitudes towards nontraditional clothing. It’s how he got the name for his business after all; by day he is a farmer in southwestern Minnesota, and at night he books shows and wears kilts and skirts. For him it’s part of the drive to keep bringing in great bands; he can bring not only the experience of amazing live music but also an inviting atmosphere for everyone. This is something that Grant Mayland of Dark Energy is also incredibly passionate about. Grant has worked exceptionally hard to make Dark Energy an ally for people of color and the queer community by “addressing concerns that come up and investigating them, which can be time consuming and emotionally taxing but, as a man, [he] felt an obligation to give some of that power back and a privilege that allows [him] to get things done and give that back to the community.” Jarvis of Absynthetic Productions agrees and is working to create a more harmonious community, not just for the fans but between the promoters. Jarvis made sure he had Trace’s blessing before pursuing promoting in the Twin Cities and the two now work together to provide the community with great acts. Jarvis also helps with sound, lights, and visuals at Kilted Farmer shows. This attitude of community and inclusion has begun to bring the Twin Cities out of the shadows and regain its status as a musical anchor city. I asked them all to look to the future and what they see for themselves and their businesses. Universally, they all want to keep going, though Trace is looking at handing the reigns to Renee at some point down the road, but he wants to keep bringing in big acts and promoting smaller ones. Grant says, “I want to keep growing, I don’t want to stop, I need to expand out of event promotion and I’m thinking about starting a record label.” He also points out an interesting perspective on our community, “The Twin Cities are perfect for this kind of music and because we are isolated we may be naturally inclined to go towards dark stuff.” Jarvis says he’ll probably “do it until it’s not fun anymore, I mean it’s always work and it’s always fun, and I have my bucket list of bands that I want to bring in so I’m working towards that.” He is currently working towards promoting more local bands along with national and international acts and wants to build up the community that way and give more bands the opportunities he has had with Absynthe of Faith. 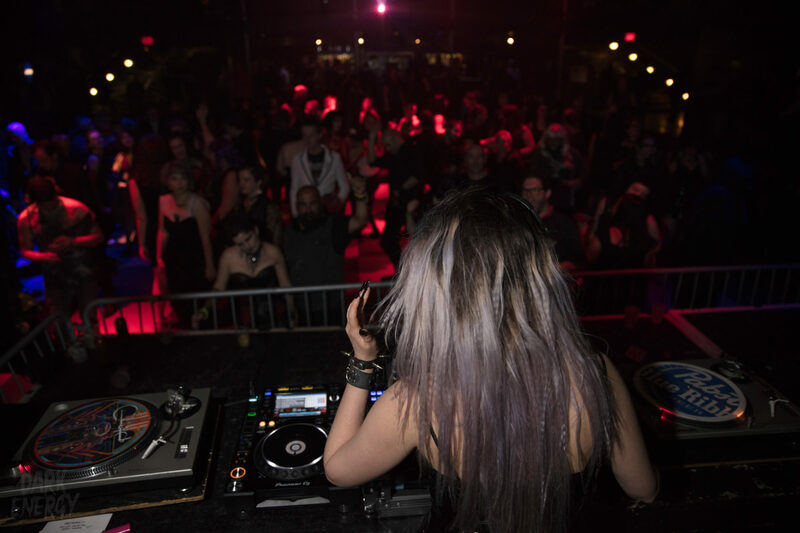 There is a future for the Twin Cities goth music scene in all its forms, but what is most important is that we come together as a community and that we support the community, the music, and the promoters. Even if a show isn’t something you might necessarily be interested in, if it comes across your Facebook feed share it so others can find it. Go to the shows and support the community financially; you might think that someone else will go to the event and it will even out, but if everyone thinks that way then no one shows up. That’s the death of the scene right there. We need to support it in whatever way we can, financially, through word of mouth and social media marketing, and in embracing everyone who is interested. We as a community have to come together to stay viable, we can’t gate keep and expect the scene to stay afloat and as vibrant as it is right now. Encourage the baby bats, prod the elder goths to come out, don’t automatically dismiss the “tourists,, and tell your friends about events and music that you love; or go see something that you’ve never even considered! Expand your horizons, there is so much to see and experience and these three promoters are working hard to give you that experience. To see a list of events this month, check out the Minnesota Goth Events & Gatherings column here on Twin Cities Geek, check out the #goth channel on the Twin Cities Geek Slack, or follow these great promoters on social media.